As a frugal person who is allergic to too much clutter under sink cabinets, I’m all about buying things with multiple purposes. When I tell my friends and family about essential oils though, they naturally think they’re only good for one thing: diffusing. While they are fantastic for freshening the air and dispelling foul odors (homemade fish sticks, anyone? ), there are TONS of other PRACTICAL essential oil uses too! In fact, the more I learn about the ways to use essential oils, the more I rely on them and not on the store-bought stuff I used to! In years past, I’ve used essential oils to freshen my carpet, to clean my produce and in my daily moisturizer, but I know this is just the tip of the iceberg. 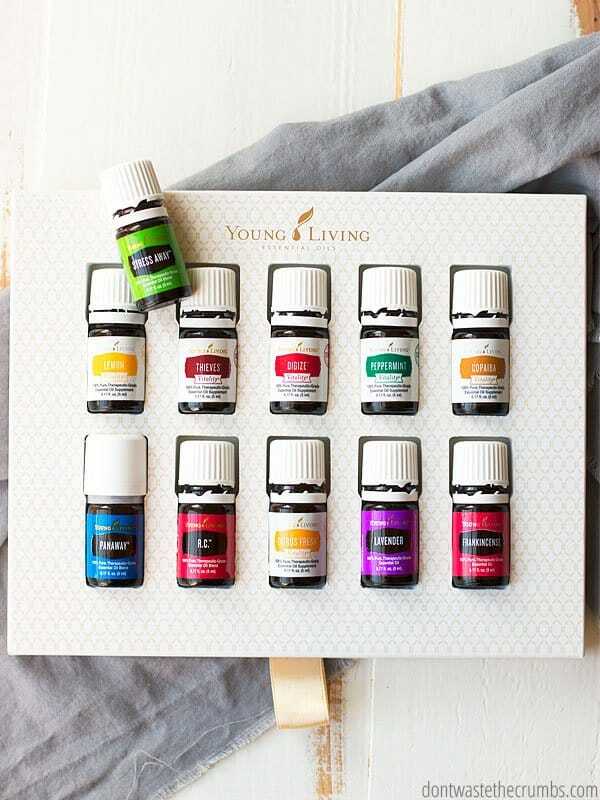 I first got started with essential oils with a Young Living Premium Starter Kit. You save 50% over buying everything by itself, and it’s by far the best bang for your buck. (This is one of the ways we’re able to afford essential oils!). Join my Young Living team with any Premium Starter Kit and enroll in Essential Rewards and I will give you a $25 product credit! Fill out your information, choose a starter kit (I recommend the Premium Starter Kit) and decide on whether or not to opt in to Essential Rewards. Check out and confirm your order. 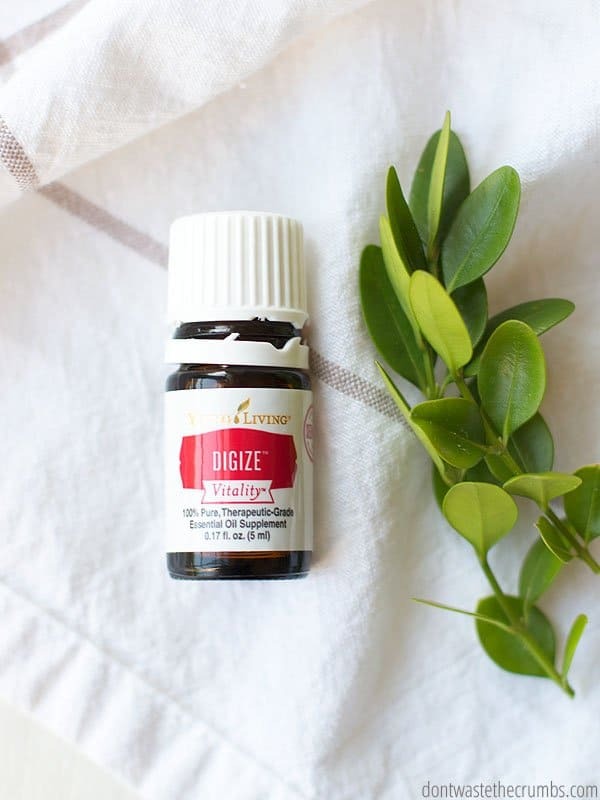 Young Living is the only essential oil company with the patented Seed to Seal process, ensuring you’re only getting 100% pure therapeutic grade oils. 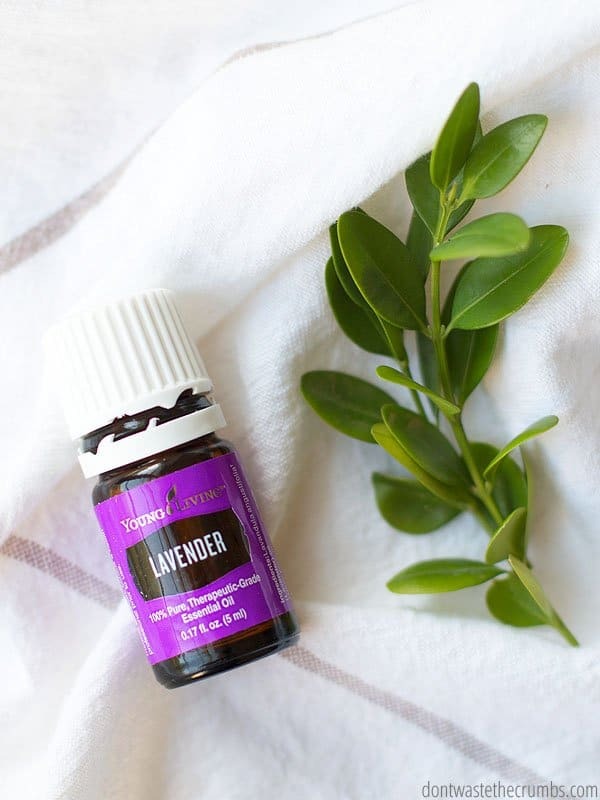 You can read more about why I chose Young Living HERE, and how we afford to buy essential oils on a budget HERE. Although I do often forget to pack my deodorant while traveling, LOL!! 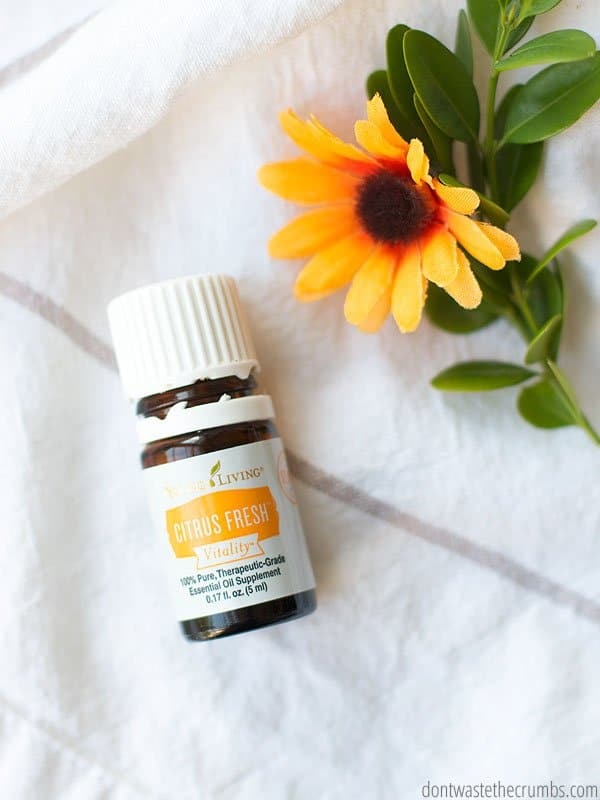 Since my fellow mama’s are in all different seasons of life, I asked my oily team for their best ideas and hacks for using the essential oils that come in the Premium Start Kit… and they blew me out of the water!! 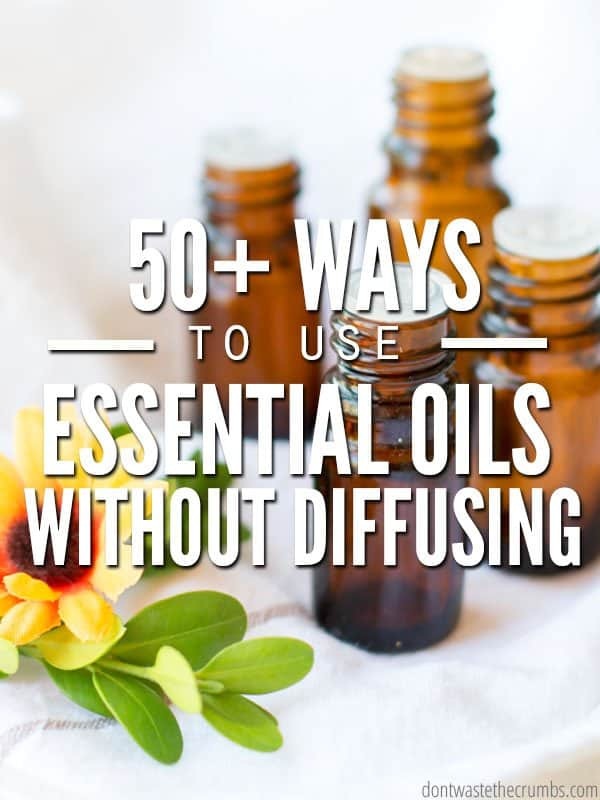 Altogether, we came up with over 50 different ways to use these essential oils – besides diffusing of course. You can see how they’ve quickly become an asset to this busy wife and mom! Note #1: Some of these oils require dilution, and some do not. All oils should be diluted when using on children. I didn’t get into details or tutorials in this post because you’d be here all day if I did, but if you have any questions, leave a comment or send me an email. Better yet, join my Young Living team today and join 800+ other genius oily ladies who can help you get the most out of your oils! Note #2: The biggest concern with essential oils and pets isn’t necessarily WHAT oil you’re using, but the QUALITY of the oil you’re using. Young Living has the patented Seed to Seal process with standards far surpassing organic regulations. If you want to use essential oils and are concerned about pets, I encourage you to read this article. Deters creepy crawling things on the ground… ants, spiders, roaches, etc. Deters creepy crawling things in hair! Deters creepy crawling things on pets! Two drops with plant food to a bouquet of flowers to prolong the life of your flowers. Put 1-2 drops on a cotton ball and place at the bottom of trash cans, litter box, diaper pails, bathrooms, under car seats… anywhere stinky! Place empty bottles, plastic pieces and lids in a bag of baking soda and shake well. Clean and re-use pieces as necessary BUT re-use the now-scented baking soda! It works great as a toxin-free carpet refresher (tutorial on that here) or as a scrub with Thieves cleaner. Or add 1 tsp of this baking soda to shampoo, body wash, lotion or dish soap to make bubbles! Or add empty bottles to Epsom salt instead of baking soda and use the salt for a relaxing bath! 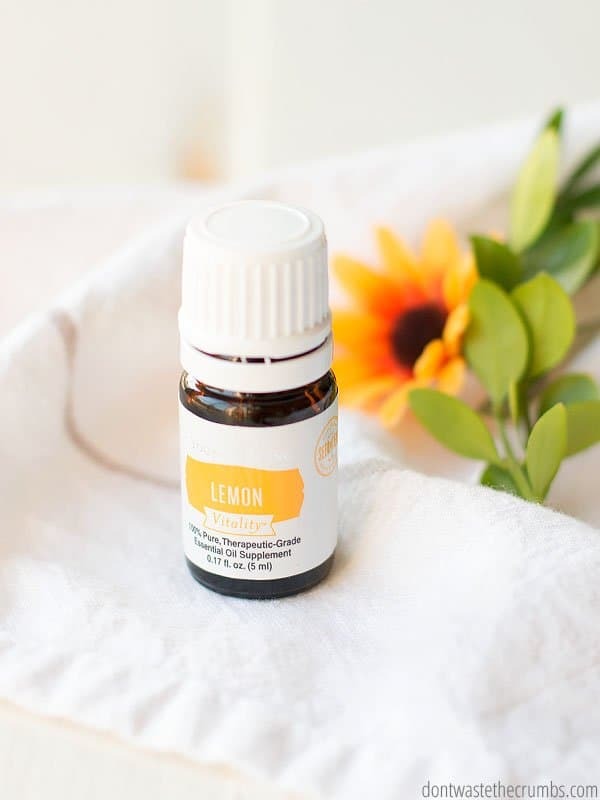 What’s your favorite essential oils, and how do you use it (besides diffusing)? Leave your ideas in the comments section below! I love to add a drop of Theives Vitality to my morning coffee. I missed having flavored coffee in the morning and this does the trick! YUM! That sounds like a great addition! I mostly use EO’s for spraying the laundry & pillows. Awesome new ways tho! Peppermint oil is one of my favorites from this list! There is so much we can do with the mint oils from uplifting our mood, to cleaning the house. And it can even help in the grieving period for giving us a bit of a mental lift when we’re feeling down.